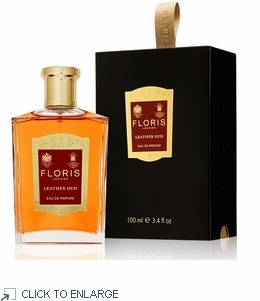 Leather Oud takes inspiration from when new fragrance oils would be delivered to Floris in small leather cases, adding their scent to the overall aroma of the essences as they were opened. The freshness of new leather compliments and highlights the smoky aspects of the Oud oil. Glowing modern amber notes complete the harmony adding depth to the woody base accord. Created with Oud oil from a certified sustainable source of agarwood, this oil is among the most expensive in the perfumer?s palette - with deep qualities found in no other oil. It is an opulent, deep sensual note that combines beautifully with rose and sandalwood. Issuing the family?s most prestigious range of perfumes the Private Collection is exclusively produced in small batches. Inspired by people and events, past and present. Floris? in-house perfumer artfully composes each unique fragrance to express the story behind its creation by combining exquisite ingredients sourced from around the world. Some have been created as private commissions for customers before being offered for general release to the public while others have been commissioned by the Floris family to mark a celebration.